He is the founder, president, and director of the non-profit Preventive Medicine Research Institute in Sausalito, California, where he holds the Safeway Chair and Clinical Professor of Medicine at the University of California, San Francisco. His first book on lifestyle changes and weight loss called Eat More; Weigh Less talked about Dr. Dean Ornish’s Life Choice Program for Losing Weight Safely While Eating Abundantly. A study he released in the Journal of the American Medical Association in 1998 showed that it was possible for heart disease to be prevented and reversed through comprehensive lifestyle changes. During this study healthy effects on obesity were observed too. A earlier study on prostrate cancer; directed by Dr. Ornish, and Peter Carroll, MD, chair of the Department of Urology, both of the University Of California, San Francisco, and the late William Fair, MD, Chief of Urologic Surgery and Chair of Urologic Oncology, Memorial Sloan-Kettering Cancer Center was released in the September 2005 issue of the Journal of Urology. In that study after one year, the researchers found that psa levels (a protein marker for prostate cancer) decreased in men in the group who made comprehensive lifestyle changes but increased in the comparison group. Also, they found that serum from the participants inhibited prostate tumor growth in vitro by 70 percent in the lifestyle-change group but only 9 percent in the comparison group. His most recent study shows changes at the genetic level. The researchers tracked 30 men with low-risk prostate cancer who decided against conventional medical treatment. The men underwent three months of major lifestyle changes. They lost weight, lowered their blood pressure and saw other health improvements; but most interesting; researchers also found the activity of disease-preventing genes increased while a number of disease-promoting genes, including those involved in prostate cancer and breast cancer, shut down. Participants in the both studies were placed on a diet consisting primarily of fruits, vegetables, whole grains, and legumes supplemented with soy, vitamins and minerals. They participated in moderate aerobic exercise, yoga/meditation, and a weekly support group session. A registered dietitian was available for consultation, and a nurse case manager contacted the participants regularly. “It’s an exciting finding because so often people say, ‘Oh, it’s all in my genes, what can I do?’ Well, it turns out you may be able to do a lot,” Ornish, said in a telephone interview. For me this is one of the most exciting articles I have written; we can change oiur genes! How amazing! Modern research shows that kindness, one of the most pleasurable of all human acts is also one of the healthiest things you can do for yourself and for others. The benefits of kindness have been discussed throughout written history. “Life’s most persistent and urgent question is, “What are you doing for others?”” –Martin Luther King, Jr.
David McClelland, a professor of psychology formerly at Harvard and now at Boston University, began researching how people could improve the functioning of their own immune system in the 1970s. As part of this research, he showed movies of Mother Teresa helping babies to his students at Harvard to see if a film could transmit feelings of caring and loving, and then see if that experience had positive effects on the immune system. It did. McClelland verified this by measuring the amount of immunoglobulin A (part of the body’s defense against cold viruses) in saliva, which increased in students watching the film, regardless of whether or not they claimed to admire Mother Teresa’s work. The best-known study regarding the importance to health of a spiritual lifestyle was reported by psychiatrist George Vaillant in his book, Adaptation to Life, which was based on a 30-year study of a group of Harvard graduates. Vaillant concluded that adopting an altruistic lifestyle is a critical component of mental health. When we do kind things for others, our body rewards us by releasing powerful chemicals (endorphins) which make us feel good. Kindness is a stress-reducing behavior. It can reverse feelings of depression, supply social contact, and decrease feelings of hostility and isolation that can cause stress. It is regular, small acts of kindness that off-set and help to buffer us from the daily stress of life. The pleasure that results from random acts of kindness is real and may help to reduce pain messages from all sorts of ailments, like arthritis or headache pain. Acts of kindness take our minds off our own problems and increase our sense of self worth. The health benefits and sense of well-being return for hours, days and sometimes for a lifetime whenever the helping act is remembered. Anyone living in or visiting Dominica has been or will be on the receiving end of many acts of kindness. People will enthusiastically help you find your way; make sure you are dressed properly; assist you with car troubles; offer a ride; offer a glass of water; or share their food – they often say that is how they were raised! 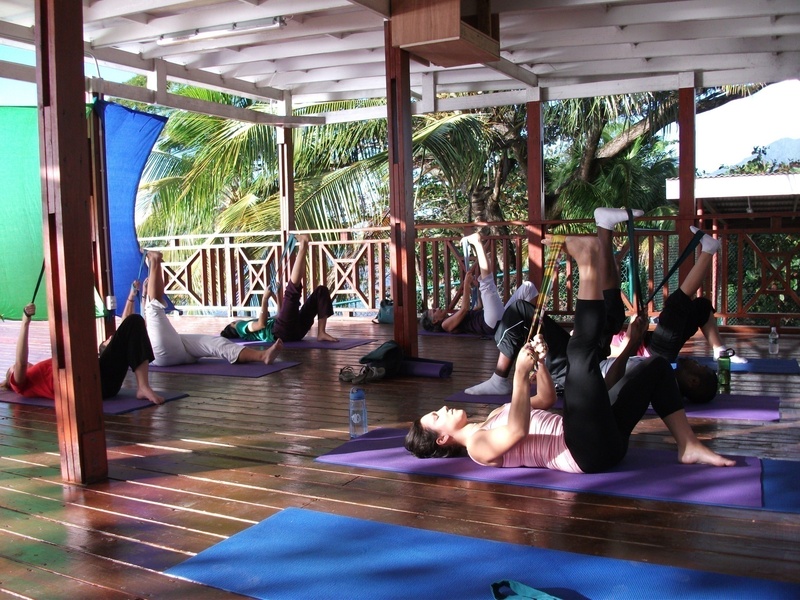 Dominica is a kind and gentle country in many ways – part of the health and wellness attributes of the island!